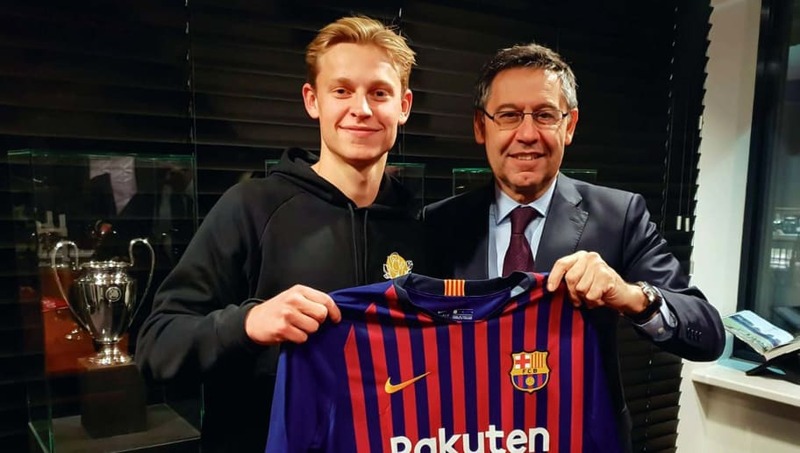 ​Dutch giants Ajax are sweating over the availability of soon to be FC Barcelona superstar Frenkie de Jong ahead of their UEFA Champions League round-of-16 showdown against ​Real Madrid on Wednesday. The 21-year-old Dutch international suffered what looked like a thigh problem during Ajax's Eredivisie clash against Heracles on the weekend. The knock resulted in him being taken off before the end of the match. ​Marca report that this injury scare casts doubt on whether De Jong will be fit in time for the ​first leg of Ajax's meeting with Los Blancos, with just a few days before the big match. The report further states that it remains to be seen whether the Dutchman will be available to start the encounter or no, although it is believed that De Jong will indeed make the matchday squad but may not gain a starting position in the first leg. Ajax will definitely be concerned heading into the game against Madrid considering that they were subject to a 1-0 defeat against Heracles, which saw them slip six points adrift of Eredivisie leaders PSV Eindhoven.